In the recent past, Islamic finance has made an impressive case on the banking scene by becoming an alternative to the popular conventional financial systems, spurring a lively academic debate on how the Islamic finance industry can expand its services to cover the poor. Several propositions have been aired which suggest that the Islamic finance industry should consider developing an efficient Shari`a compliant microfinance model. 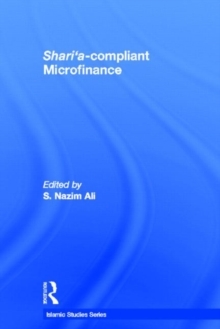 This book brings together original contributions from leading authorities on the subject of Shari`a Compliant Microfinance (Islamic Microfinance) to propose innovative solutions and models by carefully studying experiments conducted in various countries. 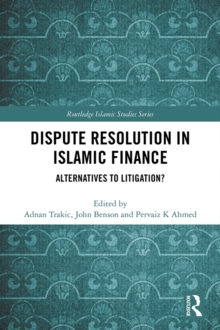 Where critiques of the current microfinance concepts, methods, regulatory measures and practices have often revolved around its practice of charging very high interest, this book discusses the several models that draw on both theory and case studies to provide a sustainable Shari`a compliant alternative. 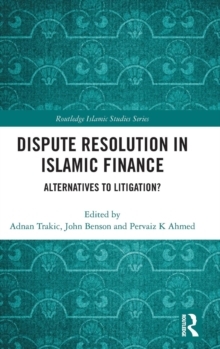 Arguing that while Islamic finance might have made a remarkable contribution in the financial markets, there remains a big question with regards to its social relevance, the book provides new perspectives and innovative solutions to issues facing the Islamic microfinance industry. 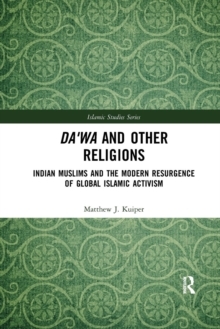 A comprehensive reference book for anyone wanting to learn more about Shari`a Compliant Microfinance, this book will also be of use to students and scholars of microfinance, Islamic finance, and to anyone interested in learning about ethical and socially responsible businesses.